Tired as we were from flying in late, we woke up to the first ring of the alarm and took the free breakfast from Saigon Backpackers Hostel. 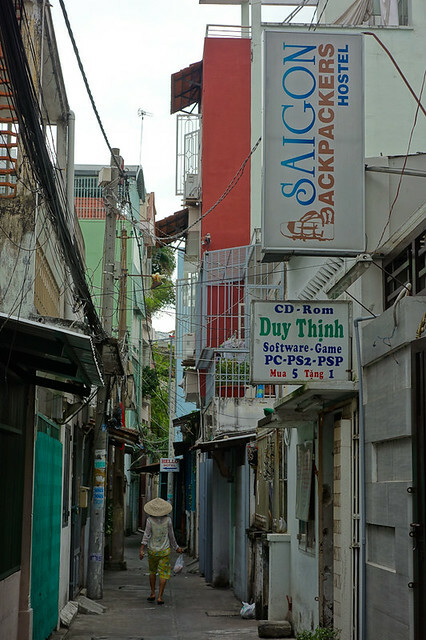 First we ventured into the backstreets near Pham Ngu Lao to find a decent foreign exchange but believe the travel forums when they tell you to go straight to the gold jewelry stores. They do not have neon-blinking lights with their published rates but they offer the best, so go ahead and ask. 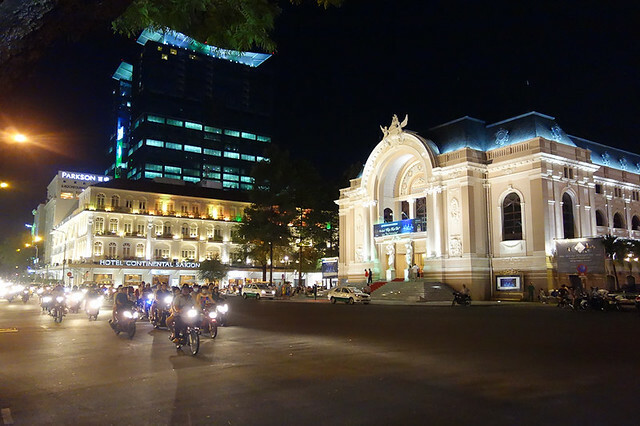 Armed with a crappy map from the hostel and sheets of Lonely Planet's Vietnam guidebook, we went out and created our own tour. 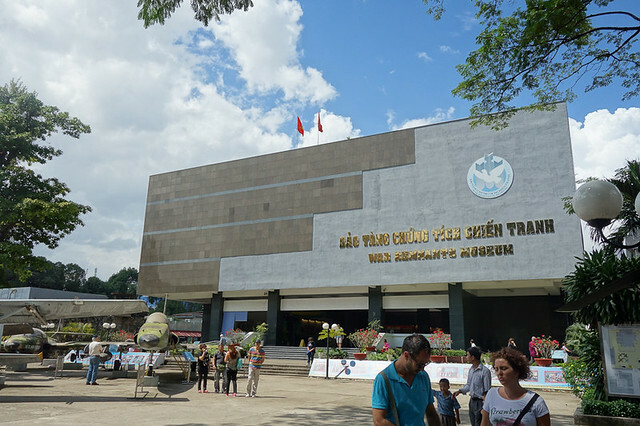 We started with the farthest point in the map and made it to the War Remnants Museum along Vo Van Tan street. The buses parked outside the museum was a telling sign that we had a literally packed day ahead. Grim, depressing, and devastating, the museum told the story of the not-so-distant past. 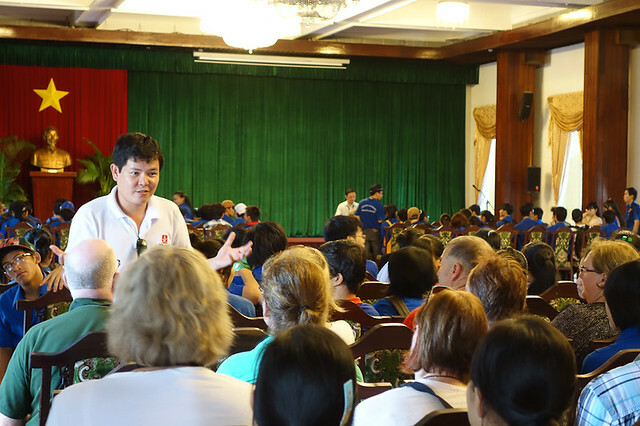 The walls were filled of photos showing the long-term effects of the toxic chemical Agent Orange, the protests in the US denouncing the war the government has raised against Vietnam, and photos of the civilians and volunteers caught in the crossfire. 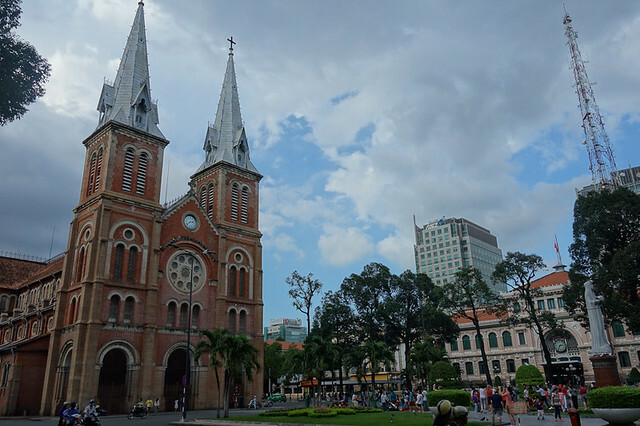 It is best to visit the place in the morning so you will still have time to fill your day with happier scenes of Saigon or make it your last stop if you want to end the day with a heavy heart. I thought I was being emotional but looking at the faces of the other visitors, they mirrored my thoughts exactly. 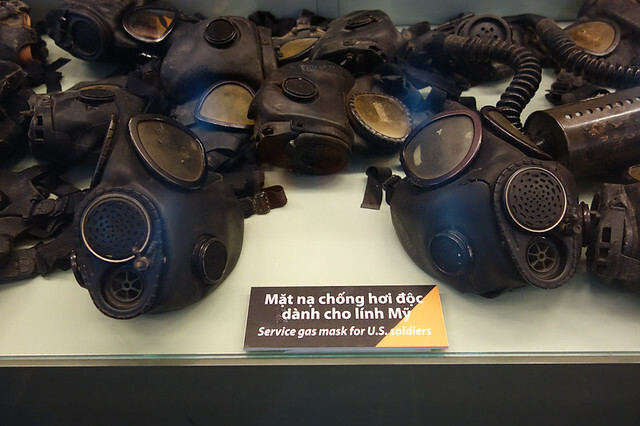 War museums are great for learning, but it does not do well for the heart. We made a quick detour to escape from the sun and had a slightly expensive version of their iced black coffee. People sat in groups on the sidewalks drinking coffee from street vendors while we got ours from Starbucks' counterpart, Highlands Coffee. 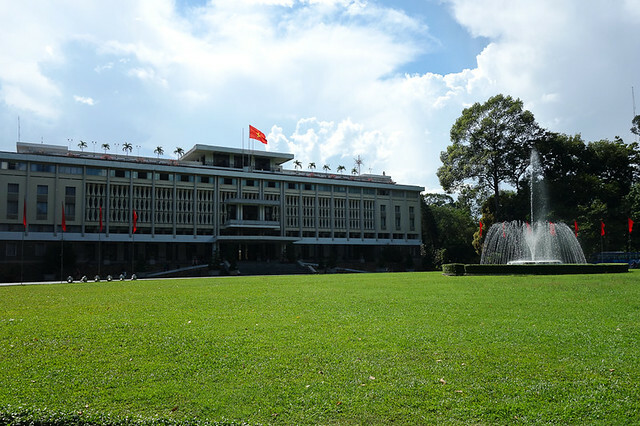 After feeling rested from half a day of walking, we retraced our steps back to a nice, green park and went to the Reunification Palace located at Nguyen Du, a few blocks south of the War Remnants Museum. 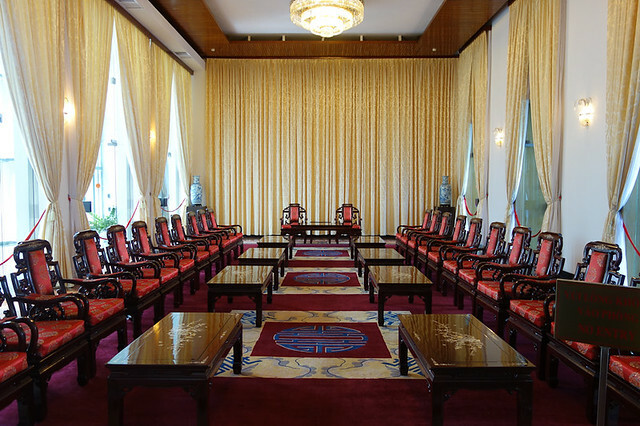 The palace showcased the office and residence of the last President in the south. The rooms with its plush seats, heavy draperies, and key furniture pieces were nothing too lavish. It took almost an hour exploring every nook of the Palace, including the underground offices. It was a maze underneath the palace. At one point, I started calling out to people because I could not see anyone around. Half of the time we trailed a group with English-speaking tour guides. Free lecture for us! 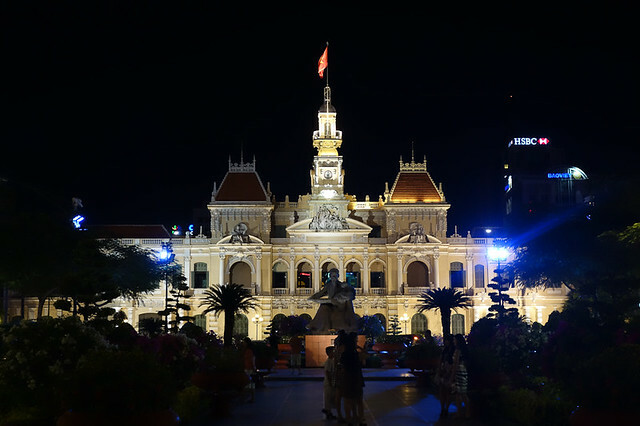 Located a few blocks away from the palace are two huge French architectures, the Notre Dame Cathedral and Saigon Central Post Office. 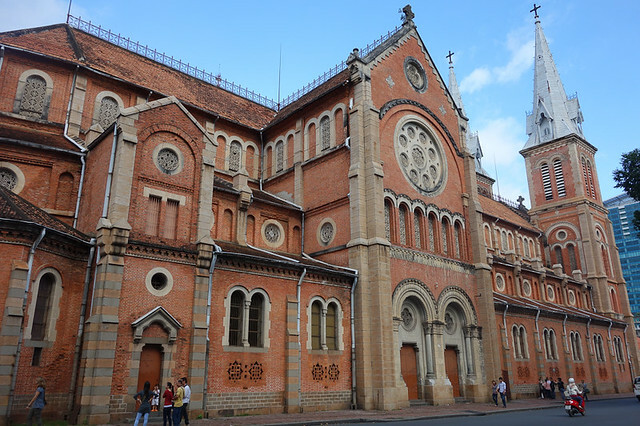 Though the church was closed, it still did not fail to awe us with its majestic facade. The brick walls of the church is so picturesque that it wasn't surprising to see wedding shoots along the walls. 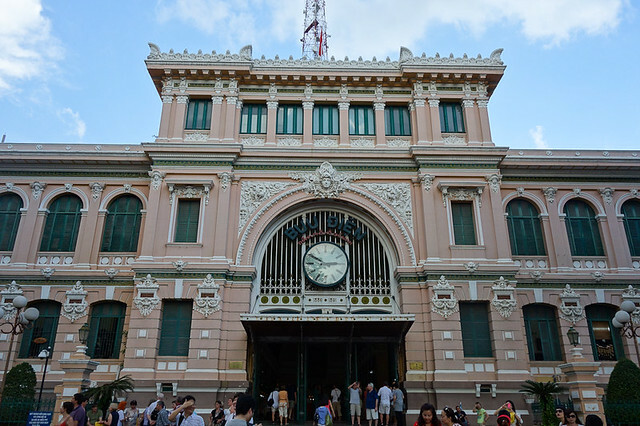 Right across the church is the Central Post Office, but it actually looked more like a train terminal to me. Nevertheless, I was again fascinated by the structure. I might just have a bias for grandiose French architecture. Keeping in mind that we still have to visit a bookstore to get a better map, we roamed along the streets until we made it into the Dong Khoi Area, along Le Loi Street. For 15000 VND we finally got ourselves a nice street map of Vietnam. Nevermind that we found the bookstore in the late afternoon when we have already traversed the city! 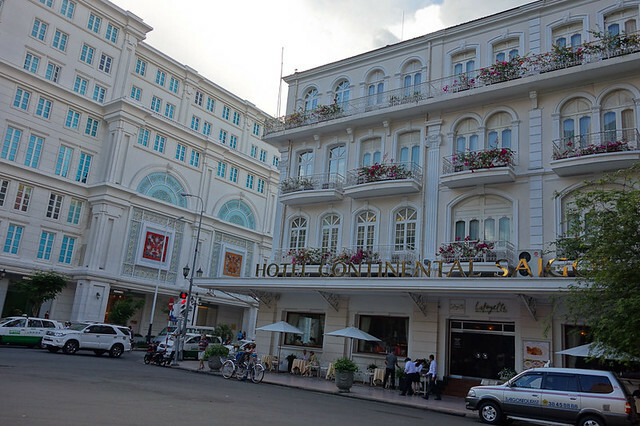 Dong Khoi district is an upscale part of Ho Chi Minh, with even lovelier structures and high-end shops along the streets. 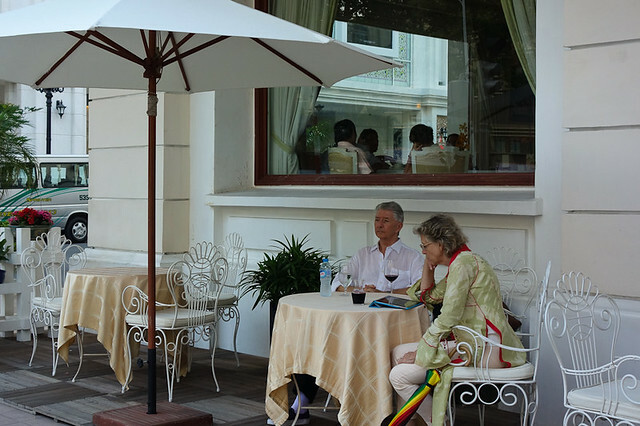 Time seemed to slowly pass by in this area as people sipped their afternoon drinks and watched the traffic on the streets. This place is perfect for a lazy afternoon stroll. 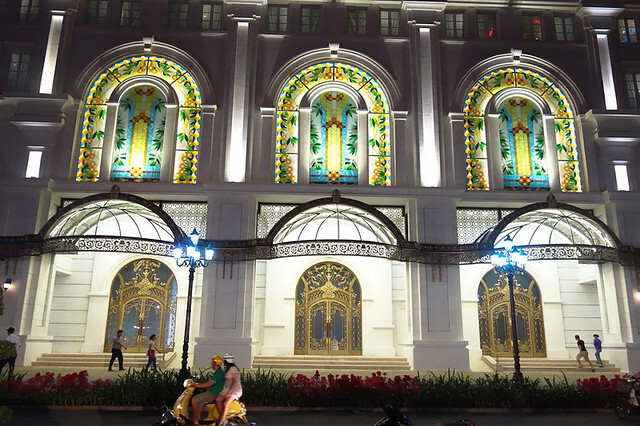 At night, the lights came up to give a whole new glitz to the fancy structures. We lingered here for quite some time, observing people on their bikes in ready-to-party outfits. We wondered where the party was on a Monday night.. but we never found out. We settled for an ice cream at Bach Dang along Le Loi before we slowly made our way back to the streets of Pham Ngu Lao. It was long day indeed and tiring as it was, I was glad we walked our way around. 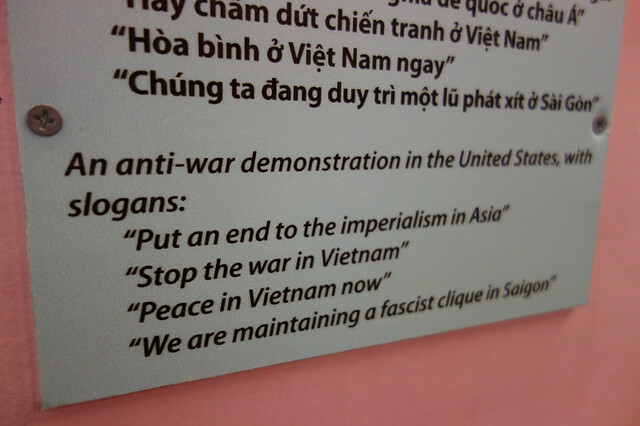 Saigon will always be remembered.